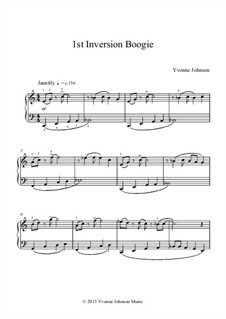 An upbeat Grade 3 piano boogie in C Major. The RH focuses on 1st inversion triads and is played over a steady walking bass. Attention to articulations and accents is needed to convey the jaunty character.